Responsible Management through Integrity, Commitment and Accountability. Hello and welcome to GreenWay Property Management and Vacation Rentals! Located in the Central Florida area, we specialize in managing homes, condominiums and townhomes in the attractions corridor. We take pride in doing so for homeowners that are looking to rent their homes to vacationers and wanting their guests to have a quality experience. We manage your property while upholding a “green living” philosophy, keeping our planet in mind. With our years of customer service experience, we are confident we can provide superior service to you as the homeowner and a superior hospitality experience for your guests. 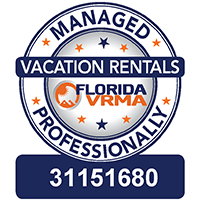 What makes our vacation property management service different from the rest? Our high expectations! We approach with the attitude of “What if this were our home and what if I was staying in this home? By taking care of your home like it is our own, you’re guaranteed that both you and your guests will get service backed with integrity, solid commitment to follow-thru and genuine accountability. We wouldn’t expect anything less! Why Go Green with GreenWay? Everything we do affects our Ecosystem and as a property management company we can be a large contributor to helping maintain a clean Ecosystem. We strive to be good stewards of what others give us to manage- your vacation home rental, help in planning your vacation, and protecting the Earth’s resources. Through environmental awareness and our ability to make green friendly choices, it will lead to a cleaner, healthier home. It will also improve efficiency and lower operation costs which leads to savings for everyone. As a green property management company we are not only given the great responsibility of caring for your vacation home rental, but to also provide eco-friendly alternatives for maintaining your home and the environment. We believe that through these choices, future generations can enjoy the same or better quality of life we share. A warm welcome to Orlando, Florida, where GreenWay Vacation Rentals can help you plan your perfect Disney vacation of lifetime at one of our luxurious vacation homes. We look forward to welcoming you to Florida, where there are many exciting ways to leave the world behind.. Relaxation and fun is closer than you think. There is something to do for all the family. Take advantage of all that Orlando has to offer, with year round good weather and stunning lush tropical surroundings. A richly diversified location offering something for all ages, from young to old. Outstanding golf for all skills levels, fishing, museums and a huge selection of delectable restaurants, from casual to fine dining. The list is endless, you will never be bored! Enjoy a wonderland overflowing with adventure, nature, fun, discovery and relaxation. There is always something magical to do, breakfast with Minnie Mouse & friends, feed the dolphins, or spend an afternoon playing mini golf! Come and indulge in Floridian hospitality. Enjoy long naps under the swaying palm trees and unwind along endless miles of pristine sandy beaches.. Refresh your spirit, renew your body and mind and rejuvenate relationships.. Discover the ultimate vacation in Florida..
Start Planning your Ideal Florida Vacation Today! We are always happy to help with any questions to ensure that you can plan and enjoy a dream vacation in Orlando, Florida. Whether you are looking for a romantic retreat for two or a larger property for your family and friends, then we can help you to create an unforgettable getaway with Greenway Vacation Rentals. Greenway Vacation Rentals have the ideal experience to help you plan your magical Orlando Vacation. We offer the best possible communities and homes for your dream vacation! 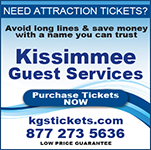 Only top quality private vacation rentals are on offer for rental near Disney and other major attractions. Greenway Property Management is a Property Management Company servicing Central Florida.We offer an exceptional first class service which is unrivalled in the industry. We understand that each home and owner have individual requirements, so we provide a customized service for your personal requirements, ensuring you have satisfied guests that will return year after year.